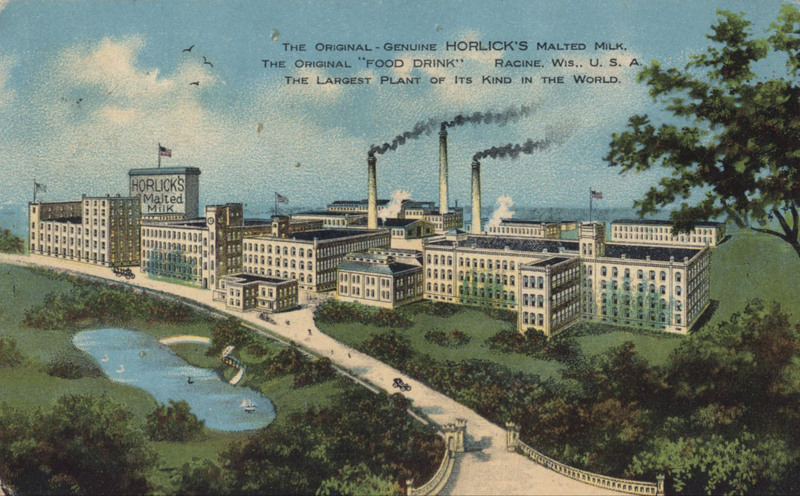 The name of no productive industry of the United States is perhaps more widely known than that of the Horlick Malted Milk Company, the business of which has developed until it reaches into all parts of the civilized world. 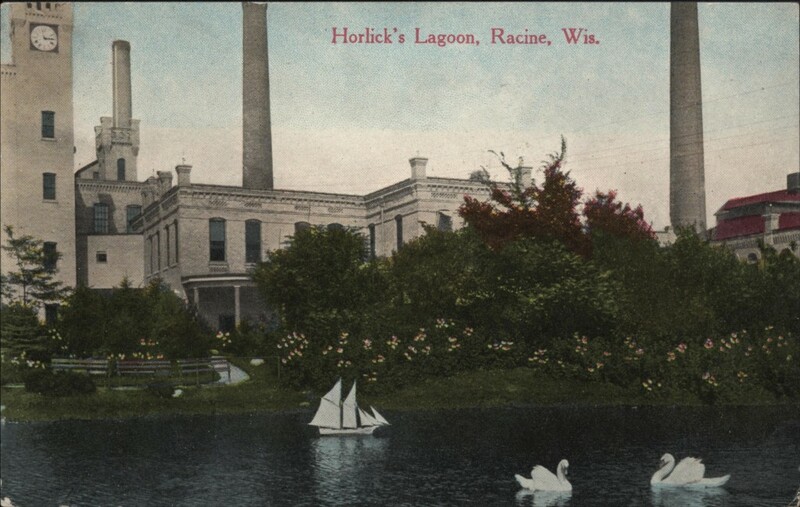 The company was organized in 1875 and was incorporated in 1878 as the Horlick Food Company by William Horlick and James Horlick, brothers, who established their plant in the outskirts of Racine, in Mount Pleasant Township. 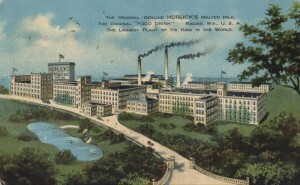 They began to manufacture a product known as Horlick’s Food, which was a prepared food for infants, invalids and the aged, to be added to milk to modify and enrich it. Their sales at that time covered only Chicago and vicinity. 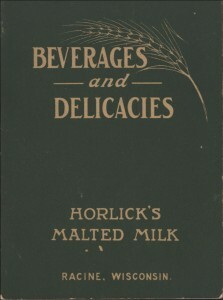 William Horlick, however, realized the great disadvantage of all foods for infants that required the addition of fresh milk, owing to the difficulty of obtaining fresh milk and keeping it so. 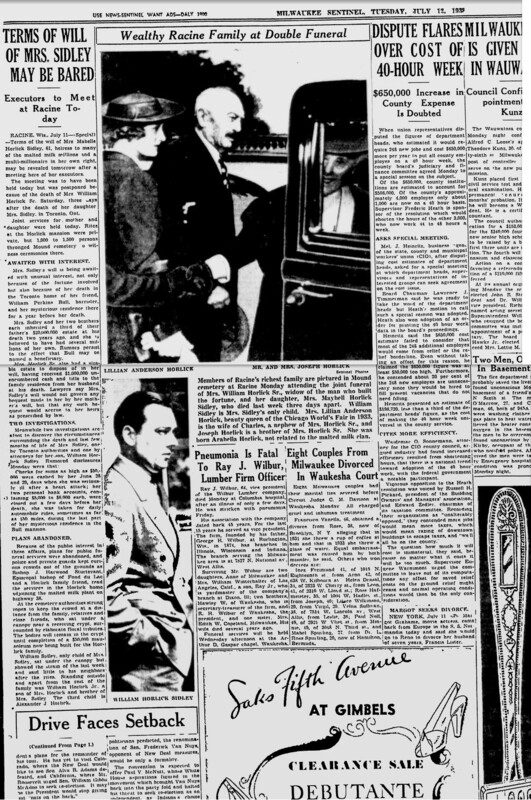 He therefore began experimenting with the purpose of producing a pure food product containing an adequate proportion of pure, rich milk-a food that would be complete in itself, that would keep indefinitely in any climate and would be free from all the dangers arising from the use of milk that is impure, adulterated, laden with disease germs or in any way rendered unfit for use. Moreover, he desired that this food should be not only absolutely safe but very nourishing and easily digested by the most delicate infant or invalid, while it should contain at the same time all the elements of nutrition. In carrying on the work of experimentation Mr. Horlick met with many disappointments and leading chemists claimed that it was both a chemical and mechanical impossibility to perfect such a food, advising him to abandon the idea. He never faltered in his purpose, however, notwithstanding his heavy losses of time and expense, and at the end of six years, or in 1887, he produced for the first time in the world’s history a food product in powder form containing clean, rich milk combined with extract of malted barley and wheat that would keep indefinitely. The value of such a product was at once apparent and the business grew by leaps and bounds, so that it was difficult to make the supply meet the demand. A program of building was instituted. New buildings were added from time to time of reinforced concrete construction and the plant today covers an area of fifteen acres. 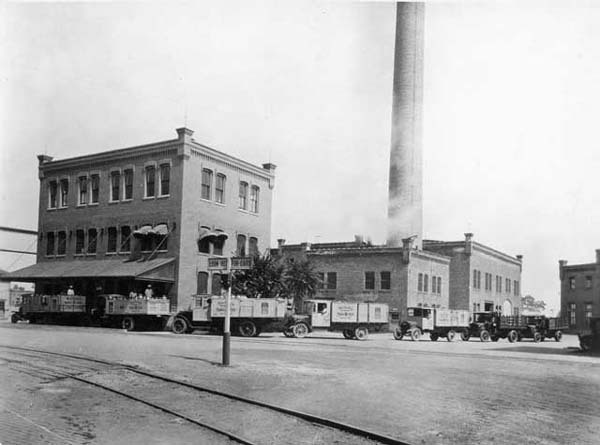 In 1902 plant No. 2 was built,- being a duplicate of plant No. 1, and in 1905 plant No. 3 came into existence, a triplicate of the others, but subject to enlargement. Since then the old buildings have all been rebuilt in concrete and steel. All rooms are large and well lighted and there is a perfect fire protection. Sanitation and cleanliness are among the basic elements of the business. There is a forced system of ventilation throughout the plant, the air being washed by sprays of water. To maintain such a plant necessitated the employment of a large force of people and in developing the plant the company has shown marked consideration for the welfare of employees. There are three rest rooms for girls and a library for the service of the employees. They maintain an athletic association and there is a whist club and a cricket club for employees and also an employees’ beneficial association. On the pay roll are found three hundred and fifty names. 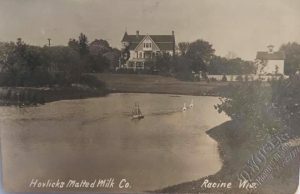 The department of agriculture of the State University at Madison says that the standard of dairying in this part of Wisconsin has been raised very largely owing to the rules of the Horlick factory in regard to the production of good, clean milk and the example furnished therein. 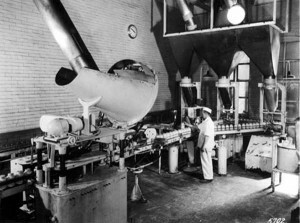 Nearly every city in the United States has asked for a copy of the rules of this plant for the production and care of pure milk and these rules have constituted the basis for much municipal legislation in regard to the milk supply of cities. 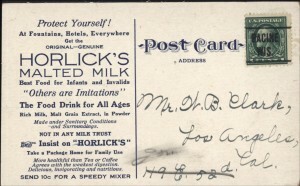 William Horlick owns personally several farms upon which are several hundred head of cows and he also buys milk from one hundred and fifty farmers. In 1915 the company erected a new milk house which is one of the finest in the country. The process employed in the manufacture of the food consists in boiling the milk in a vacuum, which enables them to boil it without heating above one hundred and forty degrees, for milk “cooks” at one hundred and fifty-six degrees. This results, therefore, in removing all water without cooking. The company has a plant at Slough, England, equal to the No. 2 plant of Racine, and supplies from that point Europe, Africa and a part of India. The trade today covers the entire world, shipments leaving for all parts of the world every week. Every Arctic explorer for the past twenty years has carried a supply of Horlick’s malted milk in powder and lunch tablet form, for it supplies more nutrition to the bulk than any other food and people have lived many years with no other sustenance. It is standard with all the armies of the world and is regarded as an indispensable accessory on all exploration or camping trips. In 1889 James Horlick went to New York, where he established a branch, and in 1890 opened the English branch and since that time has been in charge of the English plant. He is the president of the company. William Horlick has been managing director of the home plant and has always lived in Racine. 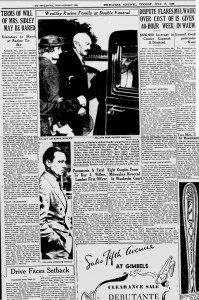 He is the secretary and treasurer of the company and his two sons are actively associated with him, the elder, Alexander J. Horlick, being vice president of the company, with William Horlick, Jr., as secretary. 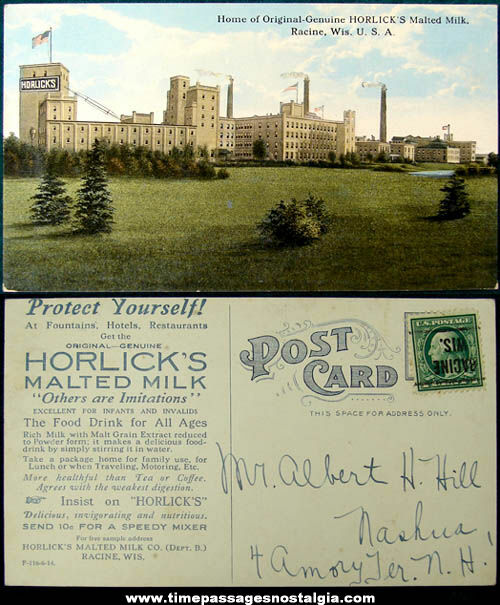 In 1906 the name was changed to Horlick’s Malted Milk Company. There is no other enterprise that has made Racine as well known throughout the world as this product, today used in every civilized country on the face of the globe. 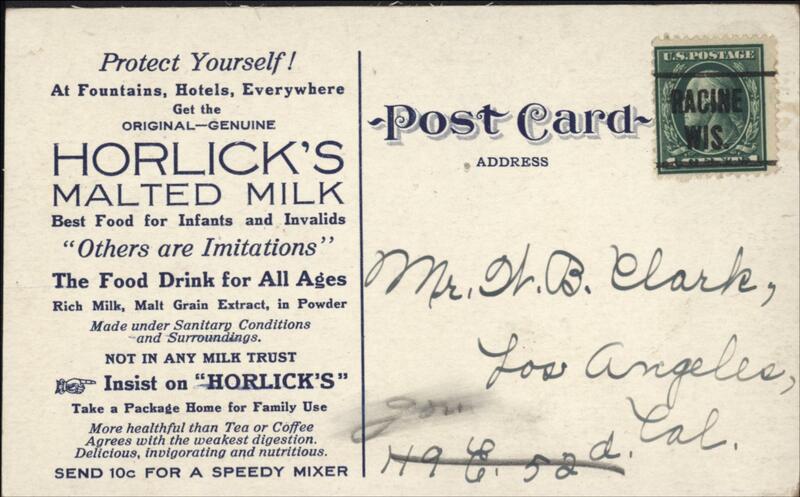 Horlicks Milk Food seems to have been the beginning of a family enterprise. 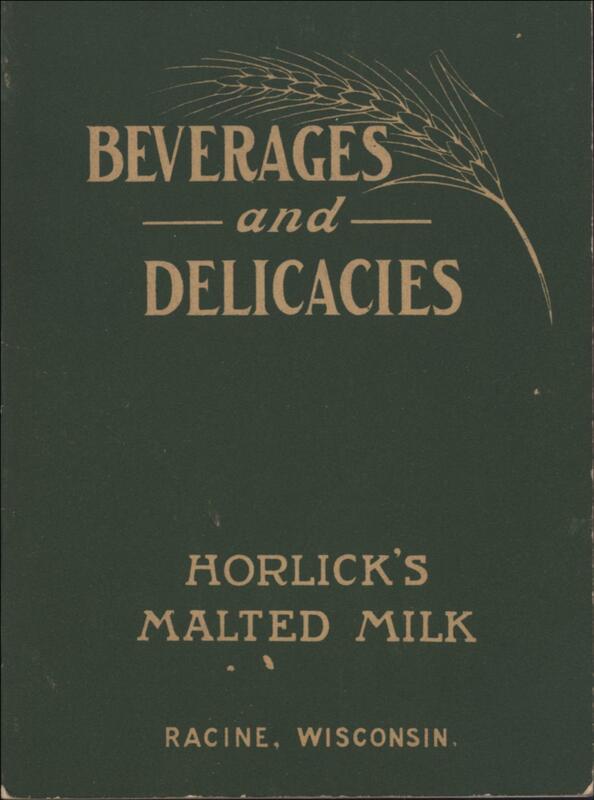 I recently read a WW I history that mentioned Horlick’s as a food all of the soldiers carried. When I was a child almost 70 years ago, I loved the milk tablets for a treat. The care with sanitation is admirable and so interesting that Horlick’s standards went out across the country and even made a difference at the Univ of Wisconsin. Have you ever had UW ice cream? No I have never had univ of Wisconsin ice cream, but sounds very nice to try. My gt grandfather worked as a butler or similar for the Horlick’s family. His name was Aldus Stacey who was from Street, Somerset, England. Any info regarding his time with the family would be most welcome. I’m in the same boat. were you able find any information?? I have a 1 GALLON CLEAR HAZEL ATLAS JAR. as I understand it, the markings on the bottom are key to it value. A number an 2- letters, one above the other separated with a bar like an old school fraction from third grade. if there is another mark besides for mentioned, I am told it is most likely a manufactures mark, lowering the value. Prices range from $5.00 usc to $200.00 The average w/embossed lid, is about $30.00 us. If I were to receive 200 for my jar, I would still be 300 short for the time I put into getting the little information I have conveyed to you. If you feel any of my note to you requires correction, please respond. Ask the webmaster to contact me. Its good to know I’m not the only person asking themselves, Why is there no information on this? 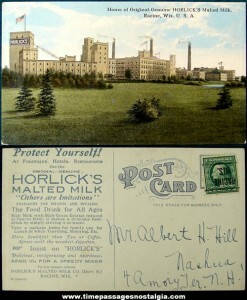 My father worked at horlicks for many many years he was the boiler man. Provided all the heat to the building. His name was James O’Hare. They could not do with out him. They closed the plant a year after he died. He was totally committed to his job there.